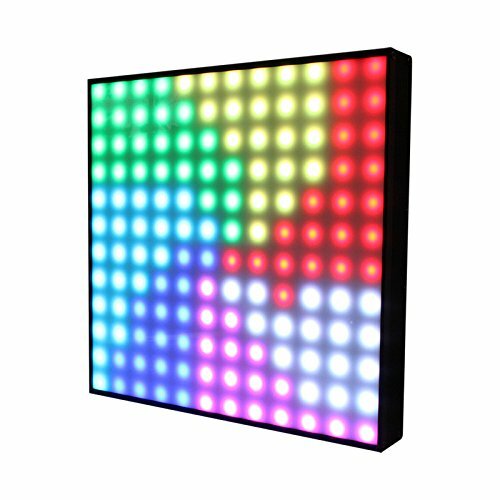 Meet Pixellicious 2, the way cool pixel mapping, LED video panel that sets up with ease. Each panel features 40* SMD5050 RGB/FC highefficiency LEDs with individual pixel control, and a 120 degrees viewing angle. The mechanics of Pixellicious 2 have been have been well thought out and designed to allow tons of mounting flexibility through its sliding hardware on the back for truss applications, as well as connections for linking multiple vertical panels. They also feature an easy-to-use 4-button control menu, and they do not need an external driver due to an onboard power supply. Use the graphic LCD display for standard operation, or use DMX or Kling-Net protocols for diagnostics and addressing plus auto configuration over Ethernet! And of course, it is also backed by Blizzard's 2-year warranty. If you have any questions about this product by BlizzardLight, contact us by completing and submitting the form below. If you are looking for a specif part number, please include it with your message.